The City of Prince Albert is looking to cut down on the number of people clogging up the city’s fire lanes. It’s a problem the Prince Albert Fire Department sees on a daily basis. © Herald photo by Jason Kerr. The Prince Albert City Council has approved a new motion to cut down on the number of vehicles clogging up fire lanes within the city, a move welcomed by the city’s fire chief. 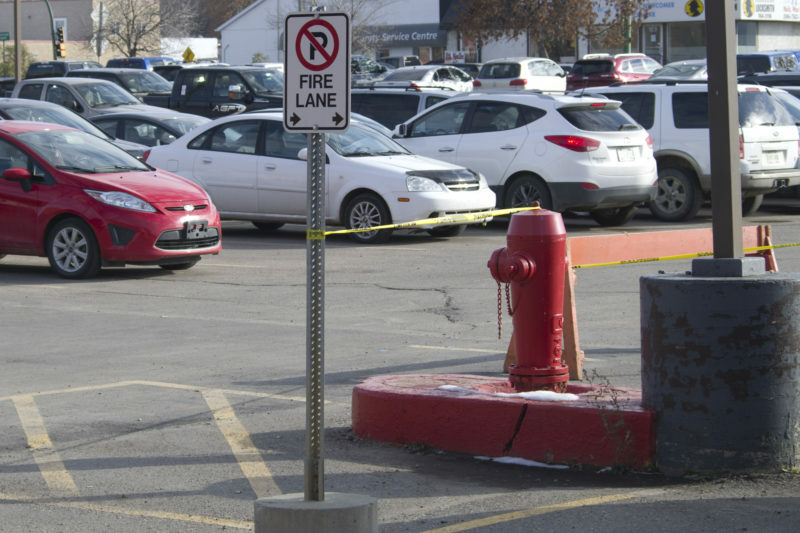 During Tuesday’s city council meeting, councillors approved a motion to change fire lane signage from No Parking to No Stopping. It’s a move designed to combat an problem that Prince Albert Fire Chief Jason Everitt said is a “significant issue” for the department. Everitt said the issue is particularly troublesome because in most cases parking is not an issue. He said drivers in the city will park in the fire lane regardless of how empty a street or parking lot is.